BMW M5 Fighter from Tesla? 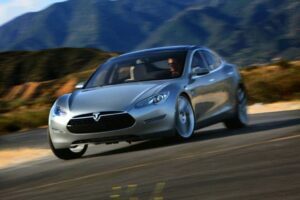 - AutoNetTV Media, Inc.
BMW M5 Fighter from Tesla? With a 0 – 60 time of around 4.5 seconds and a very low center of gravity, the Tesla S Sport may be able to give the BMW M5 a run for it’s money – as long as it’s a short run before the batteries empty.